The Heart of Napalm at Agustin might sound intense, but don't be scared. Although summer signifies a time for many Tucsonans when it's time to start looking for ways to get out of town, summer cocktail menus have begun popping up around popular local bars meaning that now is the perfect opportunity to explore the lighter, brighter flavors bartenders can play with. No place is this more evident than Agustin Kitchen, where bar manager Ciaran Wiese uses infusions and interesting techniques to mix up a range of flavors on his newest cocktail menu. Done as a collaborative effort between Wiese and bartenders David Scharf and Leah Majalca, the menu is, as in previous iterations, separated into three sections based on drinkability. The first section—Easy Drinkin'—runs at $9 (or just $5 during happy hour) per drink and focuses on more approachable flavors and typically less spirit-forward drinks, the Sonoran Old Fashioned being an exception there. The Wildflower Sour, like many drinks on the new menu, is sunny and citrusy with a fortified Cocchi Americano wine and features a wildflower-infused gin. 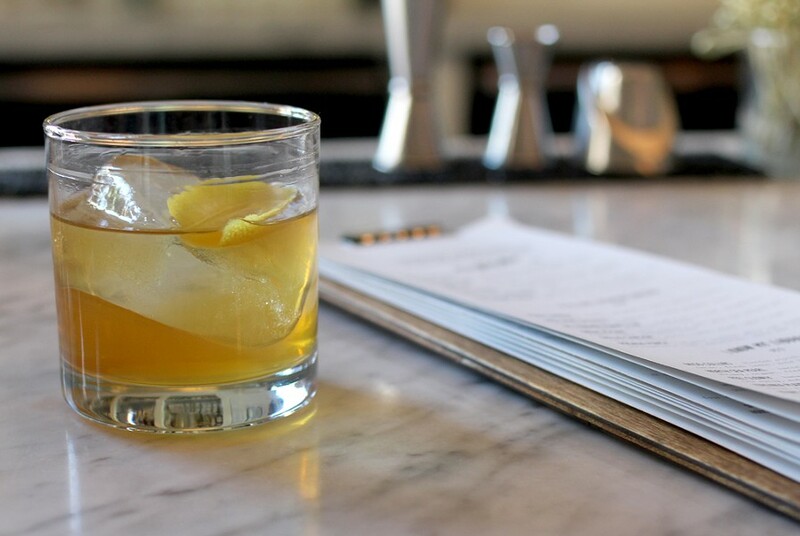 You'll also find the Bartender's Whim—a weekly rotating special—on the Easy Drinkin' menu. I had assumed, wrongly, that one recent special, which included mint whiskey, was just some bottle of distillery-made mint whiskey a distributor rep dropped off at the bar and the bar staff then figured out some way to use it up. Actually, even the rotating specials get the Agustin treatment and this particular drink utilized Rittenhouse rye infused with fresh, herbaceous mint leaves. If you're beginning to notice a theme of infused spirits here, you're right on track. Weise's bar, regardless of season, seems to have a focus on developing flavors through infusions, though this summer menu errs on the side of light, floral and herbal for a more delicate palette. Milk washing on the Great Escape is just one of the techniques Agustin uses behind the bar. Although the Feeling Adventurous ($10) cocktail Great Escape might look like a heavier boozy drink, it actually successfully combines sweet mesquite honey, lemon and earl grey infused gin for an interesting, if lightly herbal, take on the classic Bee's Knees. The earl grey and lemon combination gives you that Arnold Palmer taste, while the milk washing on the cocktail gives a smooth, round texture. The last section on the menu, titled "I Know My Liquor" serves as a dare to me on almost every visit. I think, "Hey, I know my liquor. I need to order off this part of the menu"—an effective sales technique since these are also most expensive at $11 per. Anyway, this section features unique ingredients like miso and lapsang souchong tea syrup for the more open-minded imbibers. In terms of summery, you should try out the tiki-inspired Heart Full of Napalm, which blends bacanora (see: mezcal), batavia arrack (see: rum), green Chartreuse, orgeat, cinnamon syrup, grapefruit and lime juice and a chipotle tincture. While that laundry list of ingredients does mean that some elements, namely the bacanora, get a little lost in the mix, it's an over all well-balanced and surprisingly sipable drink. 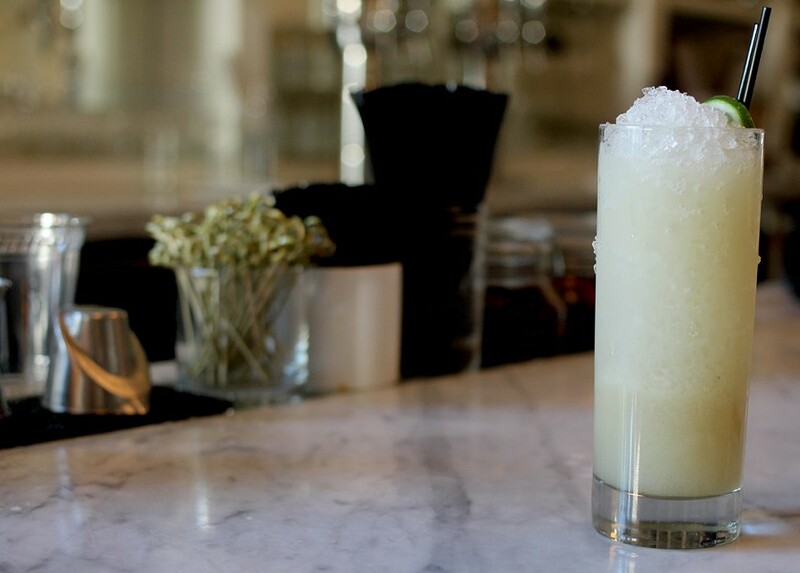 Be wary though: this crushed ice filled cocktail definitely packs a spiritous punch. You can try out Agustin Kitchen's new cocktail menu now at the bar located at 100 South Avenida del Convento Suite #150.